When you intentionally or accidentally deleted your messages on iPhone, one thing is for sure – they are all gone forever. iPhones or any other mobile phones actually don’t have the option to bring back deleted text messages. However, in case you really need to retrieve deleted text messages from iPhone due to some important matters such as proof of important conversations, proof that you receive a particular message, etc., Below are two of the best applications that you can choose to retrieve files including messages on your iPhone. This is a desktop application that has separate versions for Mac and Windows PC and runs on almost all the Apple devices. 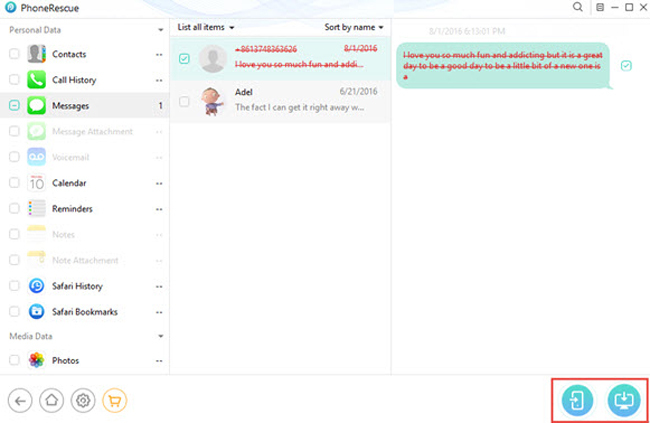 It can help you get messages and attachments, contacts, call history, notes, even WhatsApp messages back. This tool actually works in three ways: you may retrieve the deleted messages from the device itself, from iTunes backup or from iCloud backup. In order to recover deleted text messages on iPhone with ApowerRescue, you need to download and launch the application on your PC. Install the app on your computer. Choose “Messages” and click “Start Scan”. You can also check “All files” or other options. Select the deleted messages you want to recover and click “Recover to Computer” to save them to your PC. Open PhoneRescue on your computer and connect the iPhone to the computer. There are quick tips shown on the interface, follow its guide and click “I’m Ready to Start”. Select “Recover from iOS Device” button and tap the right arrow icon at the bottom. It will automatically scan all data for you. After analyzing, unselect other data and go to “Messages” to start checking items. 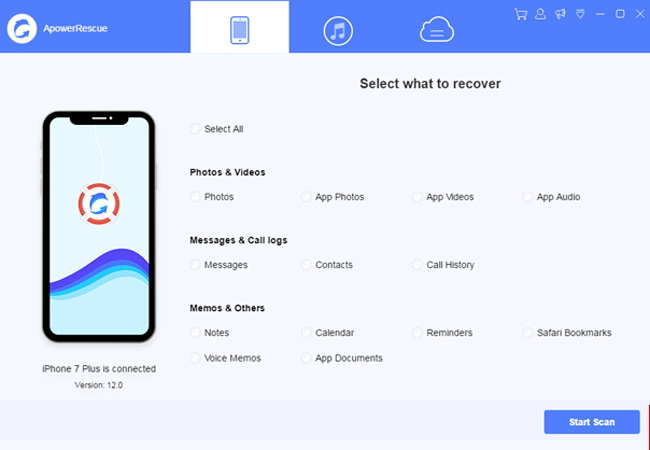 You can choose to recover to your phone or to the computer by clicking the icon at the bottom right corner. 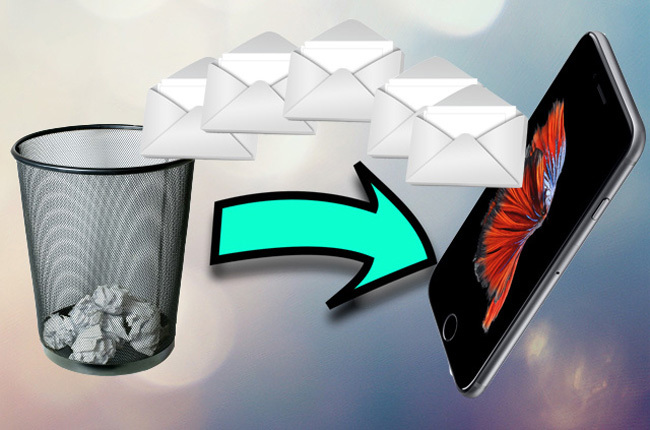 The tools given above are the best to use on how to recover deleted iPhone messages. Both of these applications are useful, however, they will require you to spend some money just recovering a text message. That can actually be prevented if you know how to back up your messages properly. In that case, you may use Apowersoft Phone Manager to back up your text messages. 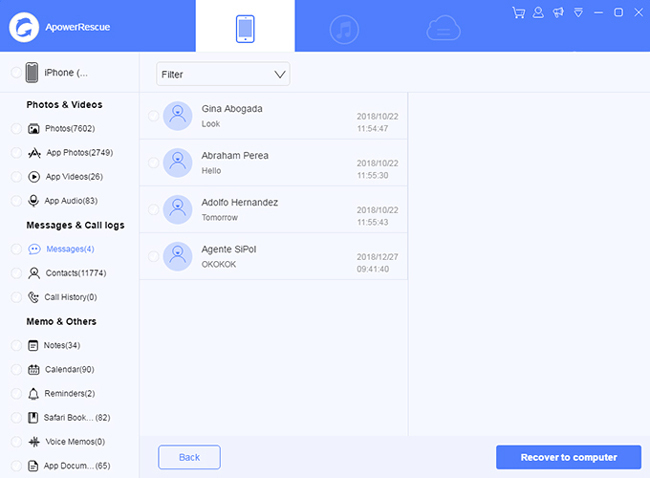 This is a desktop application that can help you manage all your files and backup iPhone including text messages. You may just click the button below to experience its great features.